Yum, I’ve never heard of The Honeymooners before, but your description sure makes me want to give a try. Thank you! I sure as hell am patting you on the back. This looks delicious I must say. 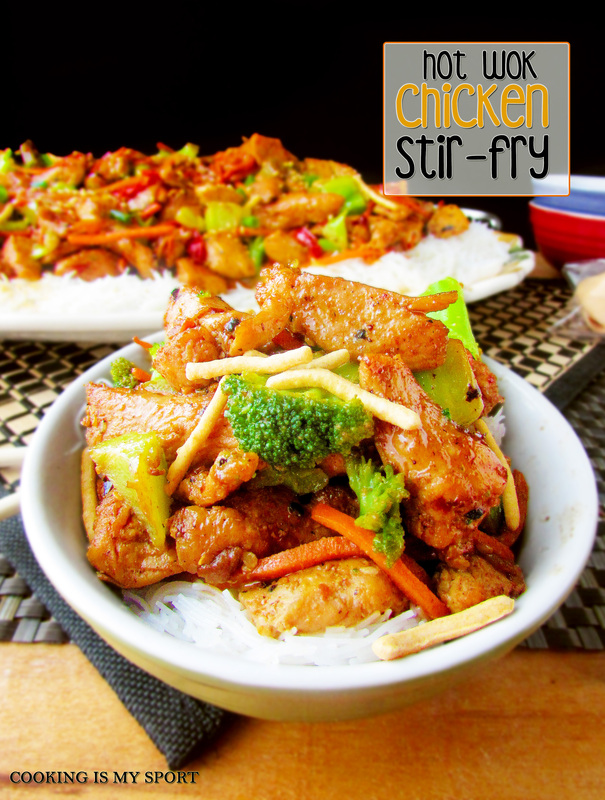 I love stir fries aas they are so easy yet sooo delicious. And I don’t have a Chinese takeout where they have such creative names for their dishes near me. Sadly. 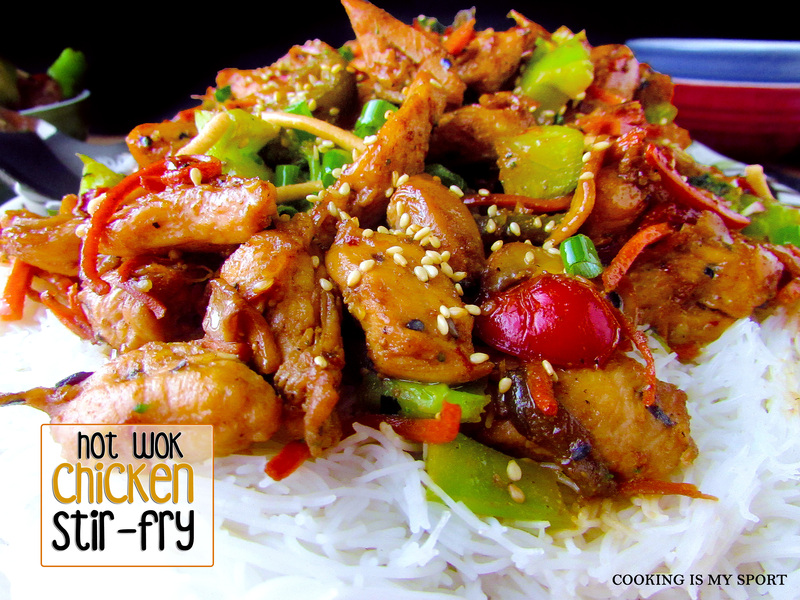 This sounds like a great stir-fry-so fresh-looking and colorful! 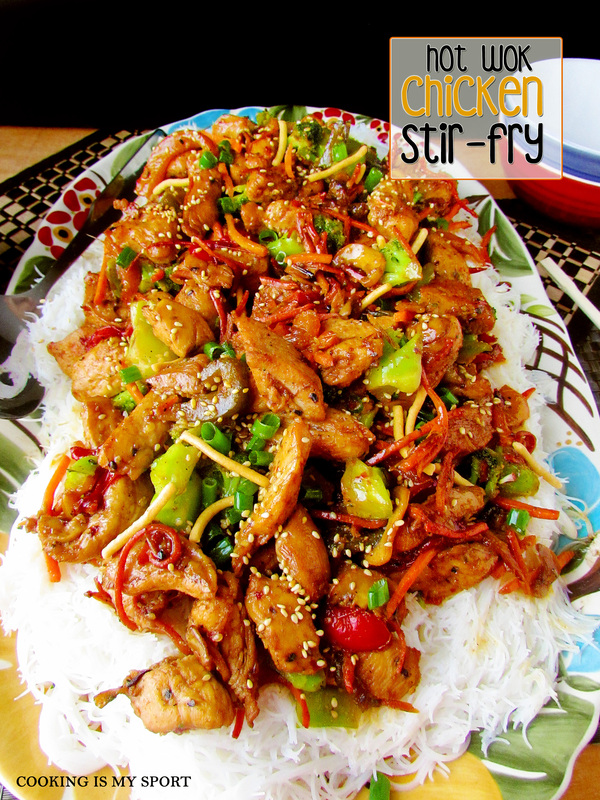 Ooh this stir fry looks amazing! We don’t seem to get many creative names at chinese restaurants round here, but at the chinese place we eat at in Atlanta my friend always gets the Dragon Horse Chicken – and I’m pretty sure there’s neither Dragon nor Horse in it! I go with the cashew chicken myself, which is a little more descriptive! Hahaha- Dragon Horse Chicken- I love it! Thanks Heather- this dish can definitely be made for a weeknight dinner- especially if your veggies are chopped ahead of time- then it’s SUPER quick. Me too Jhuls, after I published this post I started googling Eight Parts to see what it really was.Still haven’t come across any answers, but I’ll get back to you if I ever do. 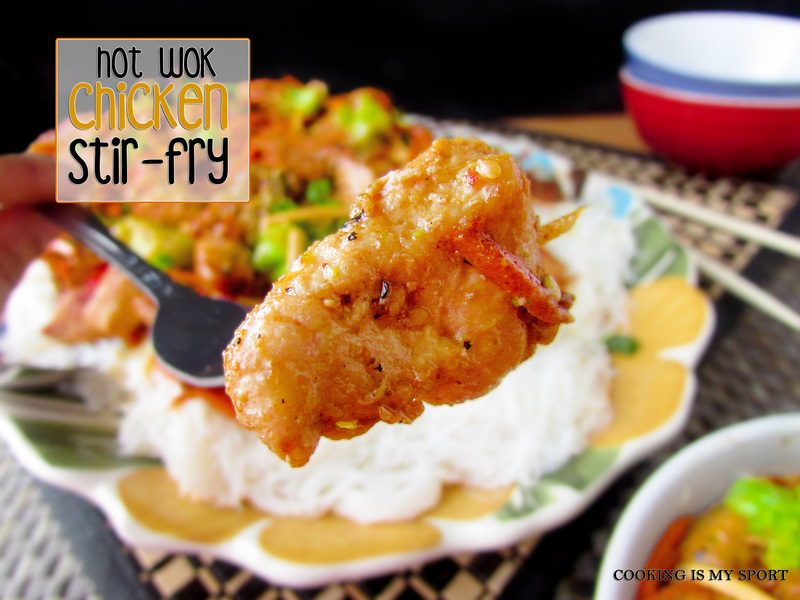 How about Chicken take a wok? Sorry I am a bit goofy. 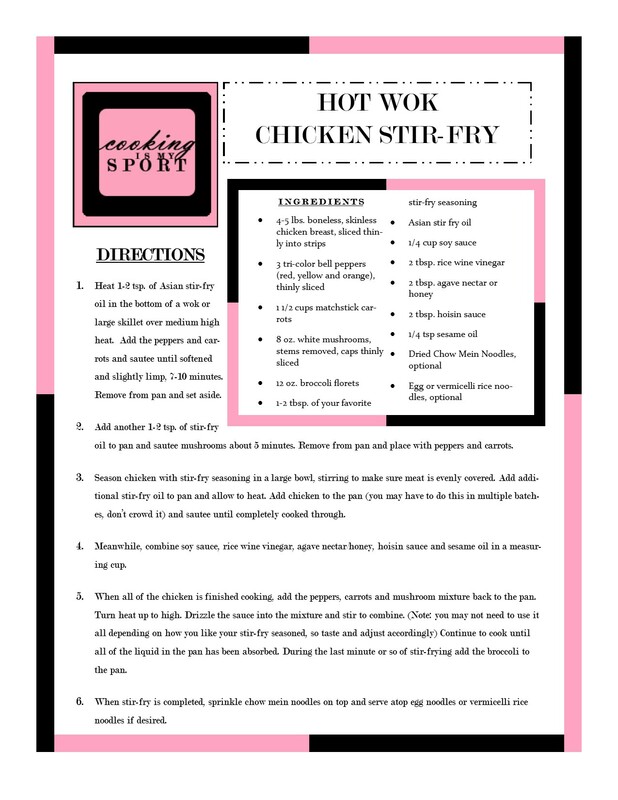 I love cooking stir-fry and other chinese dishes at home. You can get amazing flavors without the preservatives or sodium that the restaurants use. 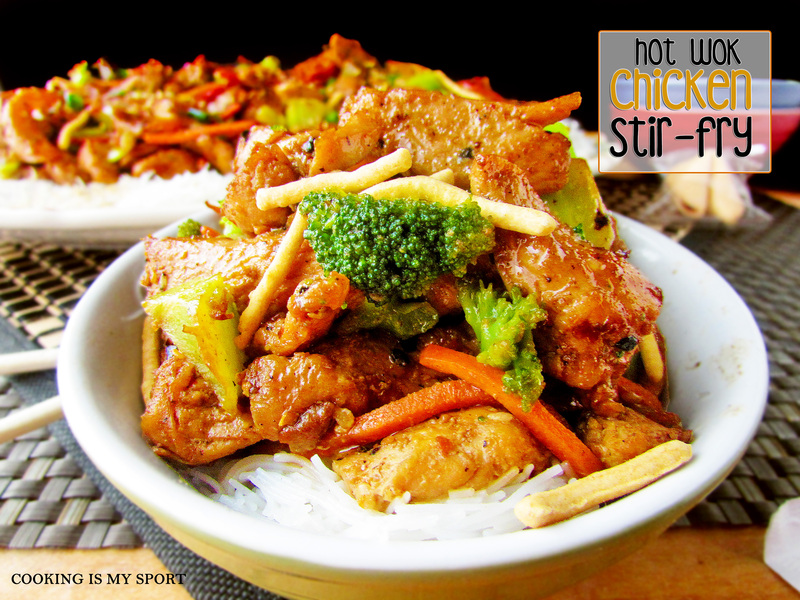 Your stir fry is colorful and looks delicious! Aww that’s such a nice compliment. Thank you! I love a good stirfry! it’s one of my go-to meals 🙂 Yours looks so colourful and flavourful! I love authentic chinese restaurants where the names are just mumbo jumbo! 😀 The place I used to go actually was all chinese, so we had to point to pictures to order… always keeping our fingers crossed it was edible!! Oh wow, that would’ve been SO ‘interesting’ for me to try to do…and by interesting I mean a disaster, I don’t speak or read a word of Chinese lol Thank you! Absolutely need to make this for my girls! It looks so inviting and delicious! so mouth watering…I love it! Wow! This looks so delicious it’s making me hungry. I love Chinese foods. It’s one of my weaknesses. Yum!